Do you know what this building is or where it is located? An initial hint: it is still standing. Update: We have a winner in the first commenter! Great picture. I think this is Fire Station 37, which was built in 1898 at 2314 Broadview Rd. 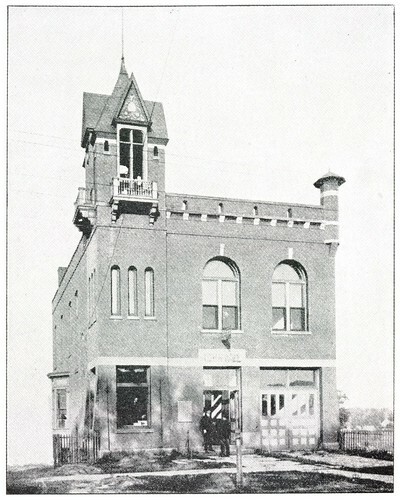 It originally was the South Brooklyn Town Hall and Fire Station. South Brooklyn was annexed in 1905. 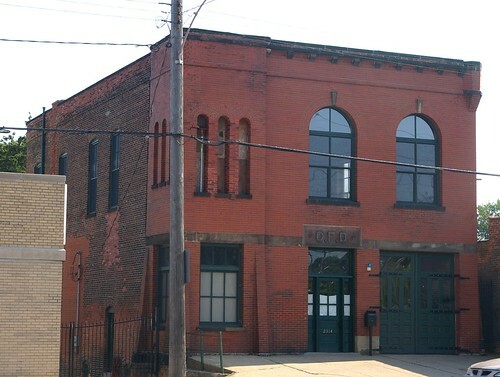 The station originally held hose company 4 and on April 12, 1922 Hose Company 4 became Eng 37. The station was closed on June 9th 1948. The tower on the left side no longer exists. I found this information at the Cleveland Firefighters Union website: http://www.iafflocal93.org/Stations%20Page/Disbanded%20Stations/D%20station%2037.html. I think it's Fire House 26! A member of my household has right away known all the buildings so far. He even knew the current owner of one. After you post the photos, we always have gone and drove by the buildings too. They were even more attractive than in the photos. Thing is answer man is always at work when you run the contest and all images are blocked on his work computer. Steve got it right! 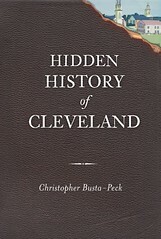 (Steve, could you please contact clevelandareahistory@gmail.com to let us know which prize you want and where to send it? Laura, does said household member have problems seeing the rest of our photos? They're all served from the same place. Let me know so I can try to resolve this issue. I want to make these contests open to as many of my readers as possible. No sorry Chris the company just blocks all images from most sites so employees keep noses to grindstone, and also so company computers don't get viruses. Would you ever consider running the contest longer so more people get chance to enter and like first person who posts 7 pm or later wins- like u could check next day or something. Just a thought.